Do you want to find Canadian blue chip stocks that pay high dividends? 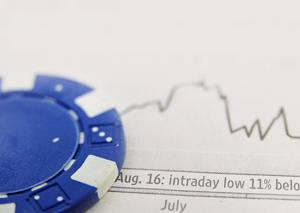 First let’s take a look at what makes a blue chip stock. One of the best ways of picking quality high-yield dividend stocks is to look for companies that have been paying dividends for at least 5 to 10 years. As a general rule, companies that make money regularly are safer than chronic or even occasional money losers. Companies can trump up quarterly earnings, or issue press releases to appear to be making strong progress, but they cannot fake dividends. Dividends are cash outlays that an unsuccessful company could never produce. If you only buy dividend-paying value stock picks, you’ll avoid most frauds. The best blue chip companies have low debt: The company under consideration should have manageable debt. When bad times hit, debt-heavy companies often go broke first. Blue chip investments should have industry prominence if not dominance: Major companies can influence legislation, industry trends and other business factors to suit their needs. Top blue chip investments have the freedom to serve (all) shareholders: High-quality stock picks must be free of excess regulation, free of dependence on a single customer, and free from self-dealing insiders or parent companies. The top blue chips to invest in will often have hidden assets: These hidden assets are most valuable before they are realized by the wider investing community. These hidden assets may come in a variety of areas, including real estate or highly respected brands. Blue chip companies find a way to remain vital: These companies hold strong positions in healthy industries. They also have strong management that will make the right moves to remain competitive in a changing marketplace. Canadian blue chips can lead to tax breaks: Canadian taxpayers who hold Canadian dividend stocks can be eligible for the dividend tax credit in Canada. This dividend tax credit—which is available on dividends paid on Canadian stocks held outside of an RRSP, RRIF or TFSA—will cut your effective tax rate. The best blue chip investments have geographical diversification. Canada-wide is good, multinational is better. There’s extra risk in firms confined to one geographical area. It’s important to avoid judging a company based solely on its dividend yield (the percentage you get when you divide a company’s current yearly dividend payment by its share price). That’s because a high yield can sometimes be a danger sign rather than a bargain. For example, a dividend stock’s yield could be high simply because its share price has dropped sharply in anticipation of a dividend cut. We recommend that you look beyond dividend yield when making investments in high growth dividend stocks, and look for dividend stocks that have also established a business and have a history of building revenue and cash flow. Invest mainly in well-established, mainly dividend-paying companies. Spread your money out across most if not all of the five main economic sectors (Manufacturing & Industry; Resources & Commodities; Consumer; Finance; and Utilities). Avoid or downplay stocks in the broker/media limelight. Using these three principles will help protect your money during periods of market turbulence, and help you realize above-average profits when the market rises. A high dividend yield could be the result of the share price dropping due to an imminent dividend cut. How much importance have you placed on dividend yield in your investment career? What percentage of your dividend payments go straight back into share purchases? canadian blue chip stocks, canadian stocks, real estate, stocks, capital gains, blue-chip stocks, dividend yield, dividend, rrif, dividend stocks, high dividend yield, main economic sectors, Canadian dividend stocks, stock market, hidden assets, blue chip, blue chip stocks, dividend tax credit, economic sectors, investing, stock picks, best blue chips, best canadian blue chip stocks, blue chip companies, blue chip stocks that pay high dividends, canadian blue chip, canadian blue chip stocks that pay high dividends, canadian dividend, high dividend, investment, portfolio, stocks that pay high dividends, successful investor, top canadian blue chip stocks, blue chip investments, blue chips, canadian, dividends paid, value.